Out of all the drone manufacturers that specialize in video drones, DJI is one of the leading names on the market for years. They actually make some of the best and most versatile video drones out there, but some models always stand out the most. Today, in our DJI Inspire 1 vs. Phantom 2 Vision Plus comparison we’ll cover two of these amazing models. These drones are aimed and geared specifically towards videographers. However, even though they are from the same drone generation and are a part of the same market, they are different and manage to bring completely different things to the table. To highlight differences and similarities, we will be comparing the 2 drones to each other, exploring their strengths and weaknesses, their features and shortcomings. In regards to packaging, both the Inspire 1 and Phantom 2 come in different packaging options with various prices. In the interest of fairness, we will be looking at the basic packaging that these drones come in. 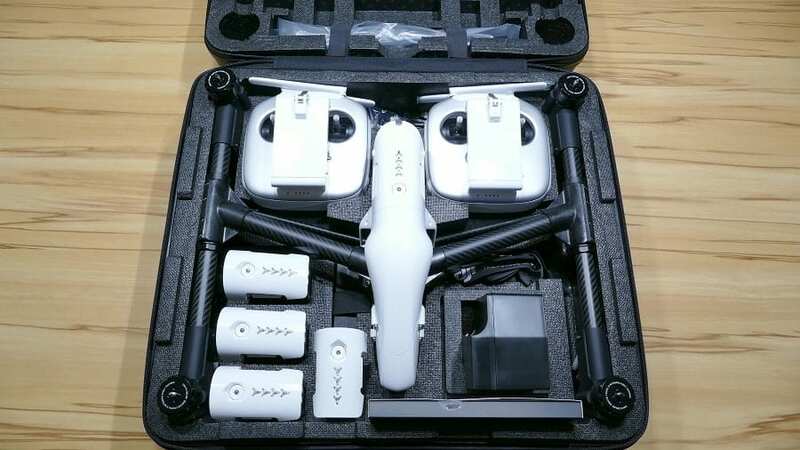 The DJI Inspire 1 is packed in a rather large polycarbonate case that is designed to absorb as much shock and as much physical impact force as possible. This makes it a lot easier to transport without having to worry about inflicting any damages. The case is the size of a medium travel luggage case and is designed to encompass the drone and every accessory that it comes with. Along with the booklet, you will find a small oddly shaped box which contains the camera, the gimbal mechanism as well as a small MD filter for the camera. The camera and gimbal unit are already installed, including a 16 GB SD card installed in the camera, so you can simply pop it on and go. The biggest thing in the case is the drone itself. It is placed neatly in the middle of the case and everything else packed around it. The propellers, battery, gimbal, and camera are not installed. The drone comes with a single battery by default, with a small charge. Included in the case, is the controller and a harness which is designed to go around your shoulders and back for more comfort and control. Underneath the copter you will find the charger which, unlike other chargers on the market, is designed to charge both the drone battery and the controller battery at the same time. 1 special charging cable that allows you to recharge the controller from the drone battery directly. 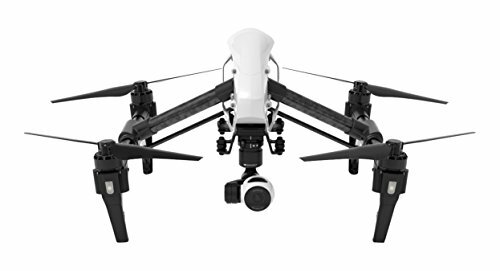 Of course, you can also get more familiar with this model and its features by reading our in-depth review of the DJI Inspire 1. The DJI Phantom 2 Vision Plus has a more traditional approach to drone packaging, arriving in a box and not a case. 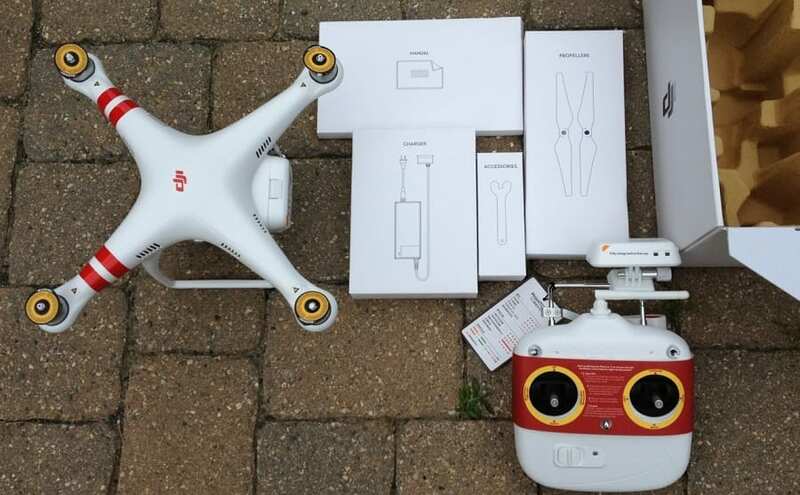 The drone is protected by heavy duty shock absorbing molded cardboard lining and, after you take off the top part of the box, you will be able to see the contents of the box. The thirst thing that will pop out is the drone, almost fully assembled, with the camera and gimbal mechanism already mounted on it. Next up is the controller. It is neatly packed, again properly assembled, except for the controller battery cover which is left unattached. The controller runs on 4 AA batteries, which are actually included in the package. Right next to the controller you will find a small white box labeled “Propellers”. This little box contains 2 sets of propellers – the main set and a spare set. a 220V EU plug, as well as 2 different adapter heads for your plug. The last thing that you will find is a small box labeled “accessories”, which will contain any other small parts that you will need. 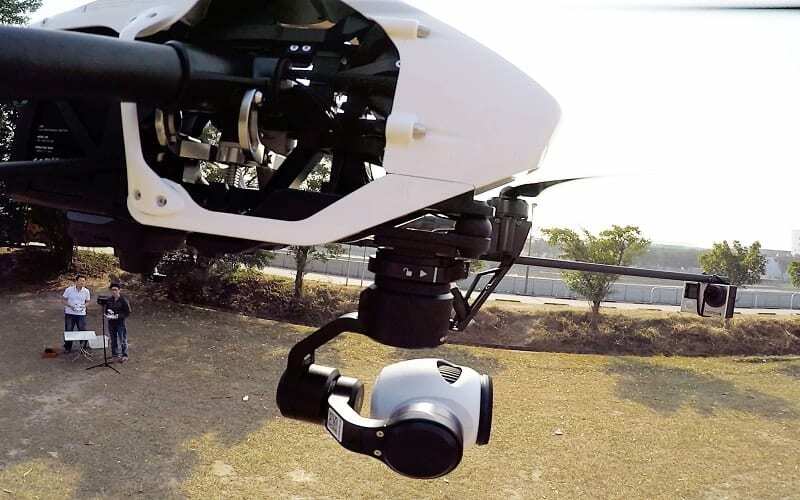 Speaking of accessories, DJI is also well known for offering their useful accessories for their Phantom series, and you can find out more about that in our article about DJI Phantom Accessories. When it comes to packaging, both drones come packaged rather properly. The Inspire 1 comes slightly better packaged than the Phantom 2; however, not by much. While it does come with its own case, the fact that it is made out of polycarbonate hard plastic, it is mostly convenient. One last thing to mention is the fact that all the tools needed to install the propellers as well as instructions on how to install them and maintain the craft itself are included with both drones. The Phantom 2 has a rather big, boxy and sturdy body type, with a more or less futuristic design. It is made out of metal and high-density plastic making it rather durable against impacts, rough landings, however lightweight enough to have a nice and stable flight. It is more or less designed around balanced flight as well as stable shots, even when on the move. Not really a fast speedy drone. When it comes to durability, the Phantom 2 is a rather sturdy drone. 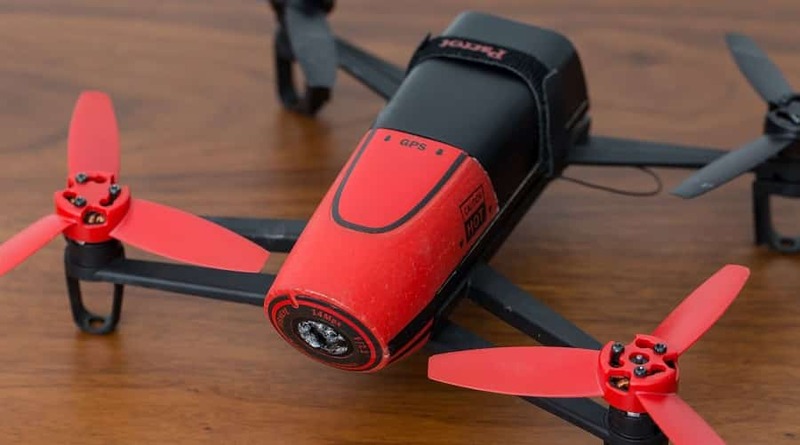 The bulky body provides a good layer of insulation against the elements, and the propeller blades are flexible, allowing the drone to handle rough winds and unstable flying conditions. 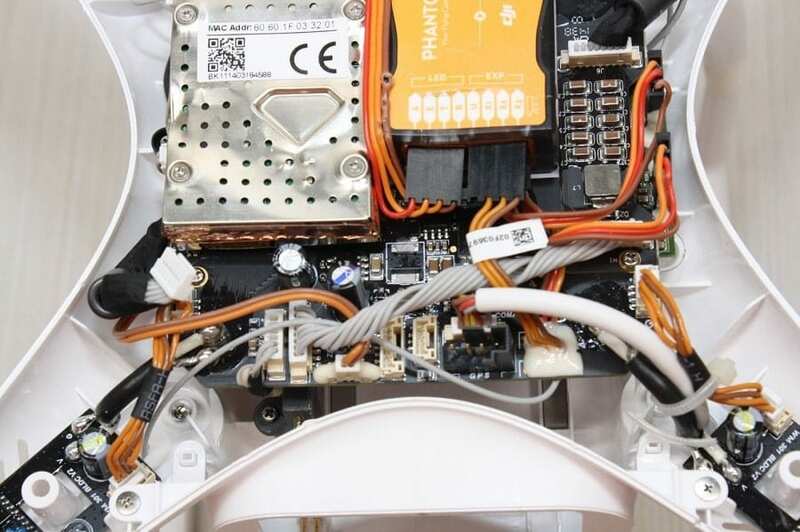 You can actually find out much more about this model in our DJI Phantom 2 Vision Plus review. The Inspire 1, however, takes a rather new approach to the drone body design. First off, the body is rather simplistic, relying on a small but encompassing body to shield the internals from the elements. The drone is very light, being made out of predominantly carbon fiber, which also gives it a lot of resistance to crashes and impacts. The angling of the arms is rather unique, giving the drone a lot more agility during flight as well as a lot more added resistance and tensile strength. In regards to durability, the Inspire 1, even though it might not look like it, is able to handle a lot of abuse. The propellers are long and flexible and the arms are sturdy enough to compensate for any turbulence and wind interference. 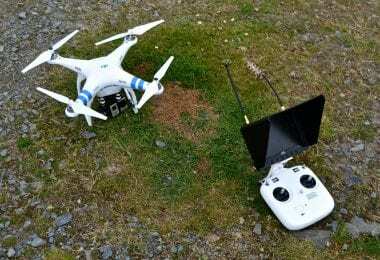 In regards to design and durability, the Phantom 2 takes it by a hair. It is overall sturdier and more durable than the Inspire 1, as well as sporting a slightly better design. Overall they are both incredibly durable and strong, with the Phantom 2 pulling ahead just a bit. This is more or less the business end of both of these drones, also the main interest that pilots have in them. While they both have impressive video capabilities, there are still some very imposing differences between the two. 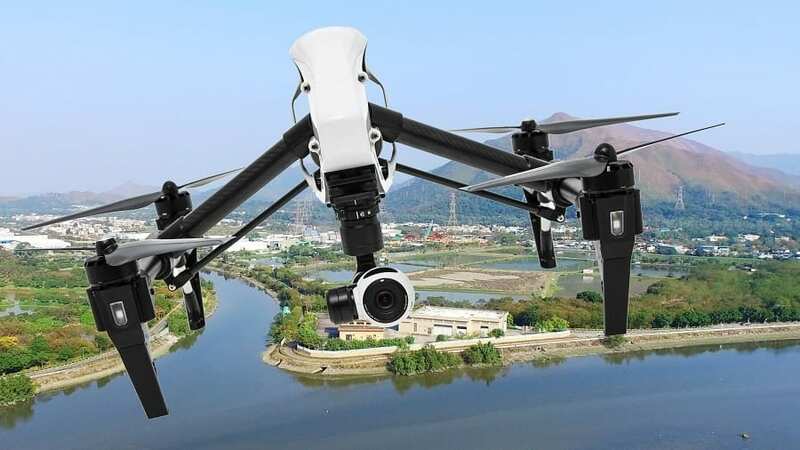 The Inspire 1 has a slight advantage as it comes with the X3 FC350 camera which is capable of shooting 4K videos and takes 12 MP resolution photos. It also features 3 video recording modes: UHD (4K), FHD (1080p), and HD (720p). It also sports a bit rate of 60Mbps and is able to use FAT32 and exFAT formatted microSD cards up to 64GB, storing JPEG and DNG photo files as well as MP4 and MOV video files. 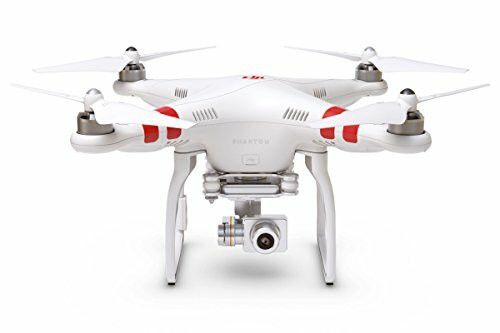 The Phantom 2 Vision Plus is the underdog here, sporting a slightly less powerful camera – a standard DJI FHD/HD camera. This one is able to record videos in 1080p and 720p, and implements the standard photo settings that are appropriate for these cameras. 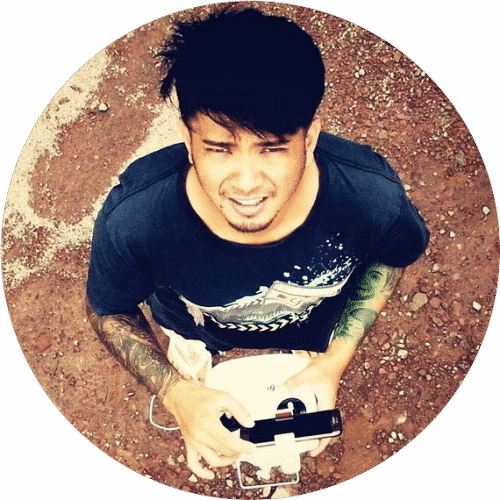 While the camera that comes with the Phantom 2 is less powerful, the drone still has a small advantage in this department, because it allows for the camera and gimbal mechanism to be replaced entirely. This means that you can swap out the standard camera with a GoPro (just an example). 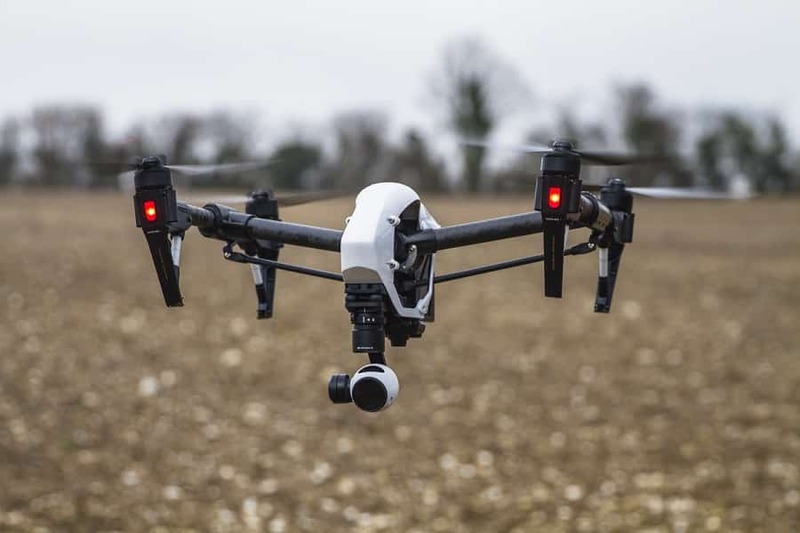 While the Inspire 1 does not have the capability to change cameras around, it frankly does not need to do so because it is carrying a more than capable device. This is by far one of the most important aspects when it comes to drones, regardless of what they are intended to do. 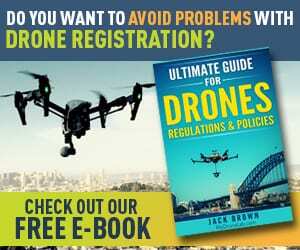 The logic is simple: the more time they spend in the air, the more time they can do what they are supposed to do, and video drones are by far the ones that value this fact. Between the Inspire 1 and Phantom 2 Vision Plus, there is a rather substantial difference. Right out of the box, they both come with some great batteries and flight time; however, they both give the pilot the option of ordering extra batteries to extend their usability. Still, there is no option of mounting more batteries at the same time or the option of modding the drone in such a way that it allows for multiple batteries. Out of the box, the Inspire 1 comes with a 4500 mAh 22.2 V LiPo 6S TB47 battery which gives it a flight time of approximately 18 minutes. 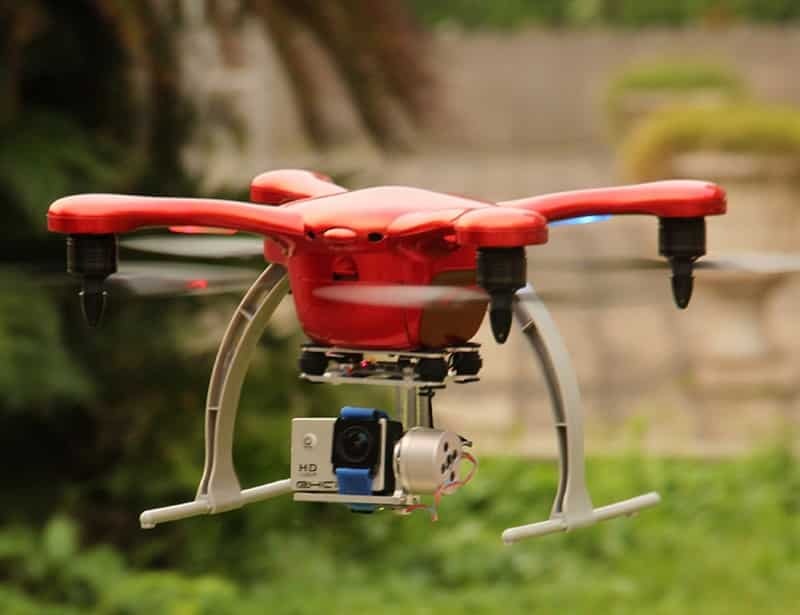 The Phantom 2, however, comes with a DJI 5200mAh LiPo battery which gives it a flight time of approximately 25 minutes. That being said, the Phantom 2 Vision Plus is the better drone in the battery and flight time department. Still, you need to keep in mind that the flight time also depends on the weight of the camera and its battery consumption. 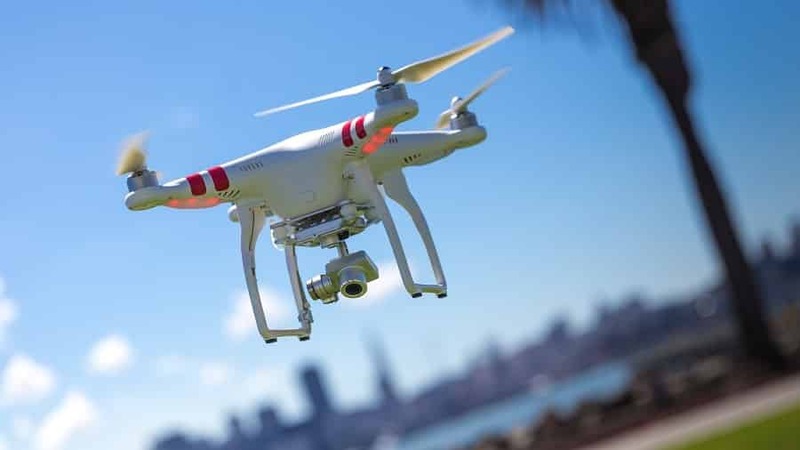 When it comes to controlling the drones, one very important observation must be made: both controllers are virtually similar in shape and design. This is to be expected considering the fact that both drones are made by the same manufacturer, DJI. 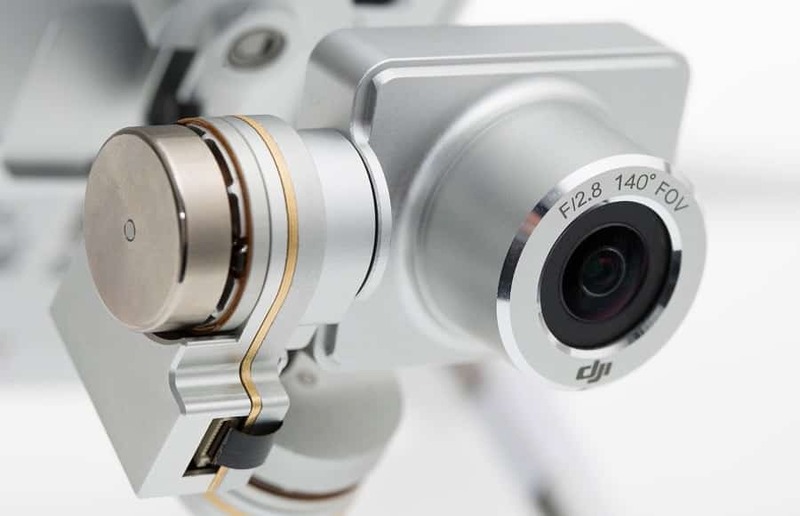 All the DJI controllers follow the same design and overall functionality. The only technical differences are rather minor. The Inspire 1 is using the C1 controller developed by DJI which offers the pilot a slightly more ergonomic layout. This makes things a bit easier for the pilot to control the drone as well as all the features that it sports. The Phantom 2 Vision Plus sports the standard DJI controller, making it very easy to fly and highly intuitive to control, especially if the pilot has flown other DJI drones in the past. 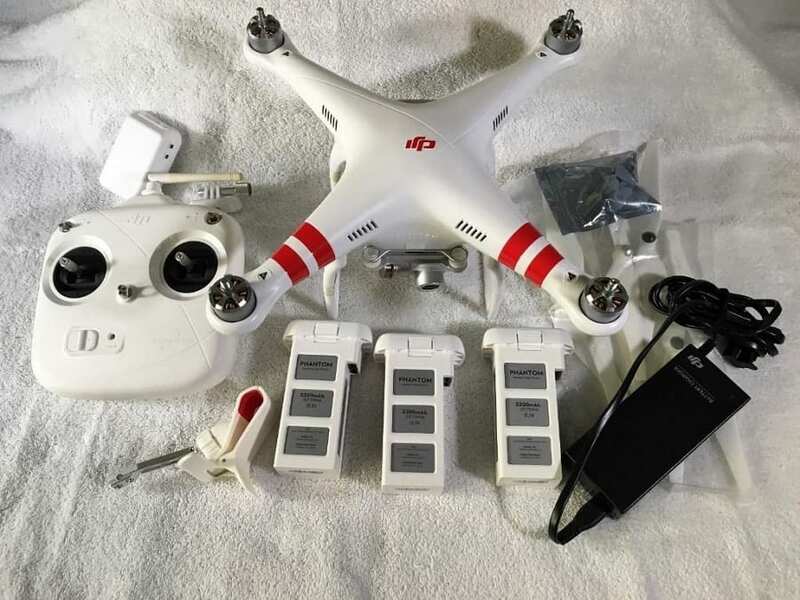 Another thing that should be mentioned here is the fact that out of the 2 drones, the Phantom 2 is the one that comes with a range extender add-on for the drone controller as standard. This gives the drone a range of 3000 feet. The Inspire 1, with the C1, controller has a range of 1.2 miles without a range extender add-on. Other than that, both controllers have very similar designs, both come with a smartphone/tablet clip for the controller as well as the option to switch to a small LCD monitor if the pilot so desires. The two drones have rather different flight performances, as well as the ability to provide the pilot with different flight experiences as well. First of all, the Inspire 1: although it has a minimalistic design and is made out of primarily carbon fiber, the drone weighs around 6 pounds. Even though it is a little on the heavy side for a commercial civilian video drone, the weight is distributed rather evenly across the body and frame of the drone. That being said, the balanced weight allows the drone to fly rather smoothly and even build up speed, especially in descents and down drafts. The added speed allows the drone to build up aerial momentum and spend it on acrobatic and agile aerial maneuvers. 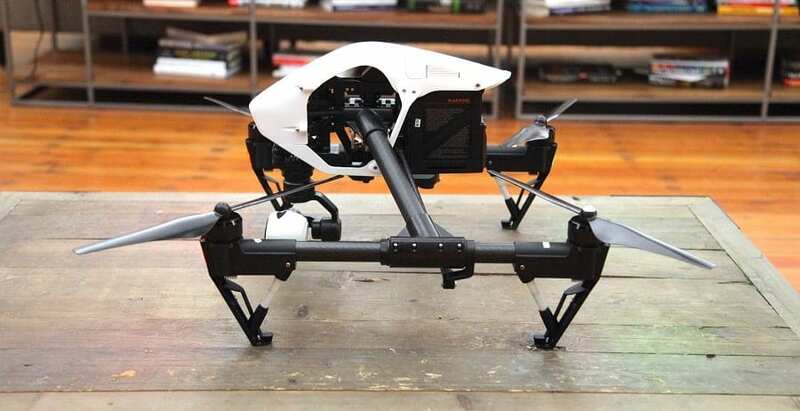 The Phantom 2 Vision Plus, however, is a lot lighter than the Inspire 1, weighing in at just 2.2 pounds. The bulky body design is what drags it down a little, making for less sharp and agile flight. Another thing to look at is the fact that the Phantom 2 is made out of mostly plastic and lightweight metal, offering it a lot less flexibility than the Inspire 1. Still, at the same time, it is able to offer a more balanced flight experience due to its design. In conclusion, Inspire 1 is the most agile Phantom 2 Vision Plus is more stable and easier to control. Even though the Inspire 1 and Phantom 2 Vision Plus are made by the same manufacturer, they are not in the same price bracket, nor do they bring the same value for money to the table. 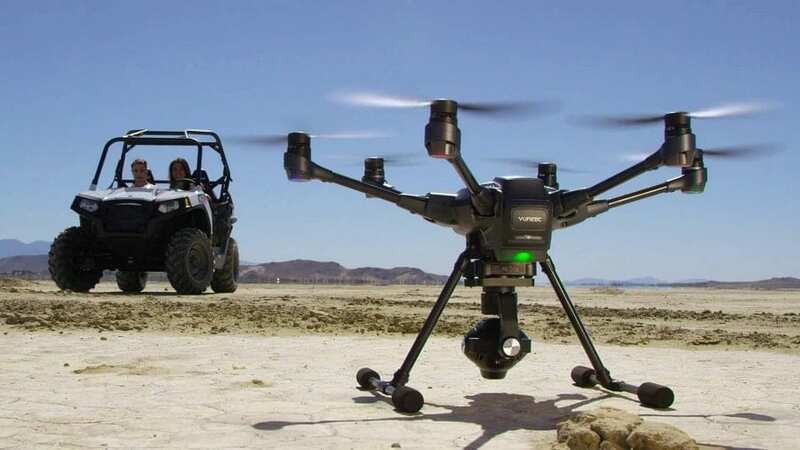 The Inspire 1 is the more expensive of the two, with the base package costing $1999. 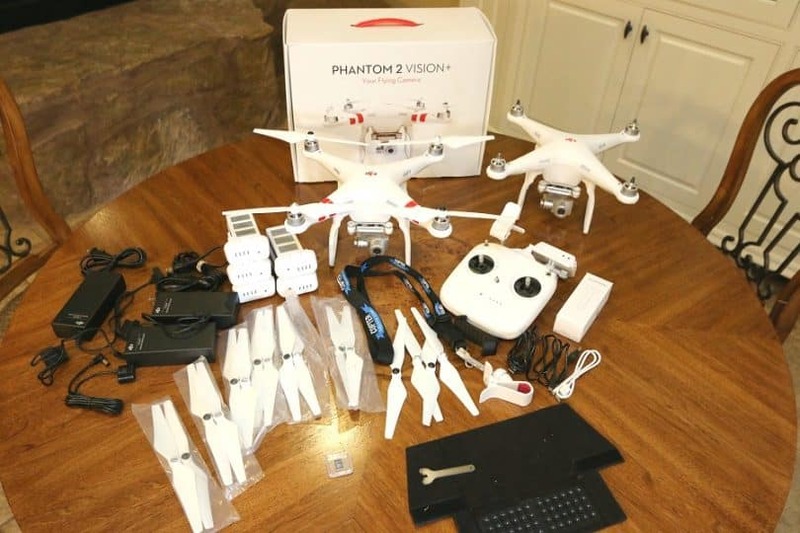 The Phantom 2 Vision Plus is cheaper, with the base package costing $929. Each drone comes completely equipped and the main price difference is made by the camera quality and materials used for the body. In regards to unique features, both drones have their specific thing that they can bring to the table. With its more than capable camera, the Inspire 1 manages to bring high-quality video performances to the table, being one of the leading drones to bring 4K video capabilities to the air. One last thing that this drone manages to bring to the table is the unique and minimalistic design that it boasts, with the body neatly packed, and the 1.2-mile range capability. What the Phantom 2 manages to bring to the table is a very bulky design which encompasses the entirety of the drone, including all the structural elements thus shielding them from the elements and the roughest of flight conditions. Another thing that this drone brings to the table is the flight. Due to its design and light weight, it is able to provide a “slow flight” feel along with a very balanced experience and a lot of control. It might not be able to pull off tricks and acrobatic maneuvers but it will provide you with a smooth flight experience and a very stable sense of control. 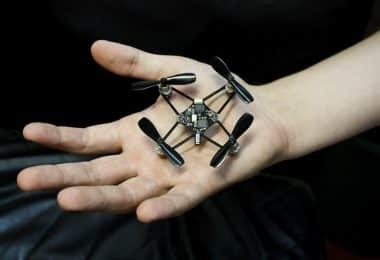 One of the first things that you will undoubtedly notice is the fact that this drone is not a quadrocopter but a hexacopter. It is a drone developed by the good people at Yuneec with 4K video capabilities, just like the Inspire 1. It is sporting a minimalistic yet sturdy design, with a resistant plastic cover designed to protect the body and all the internal components. One of the more interesting things about Yuneec Typhoon H Pro is the controller. Unlike the standard blocky controllers, this one is more like a video game console, with an LCD screen in the middle and the controls arranged around it, allowing for more comfortable and more intuitive control motions. One last thing to note about this drone is the fact that it is a good drone to learn to fly. 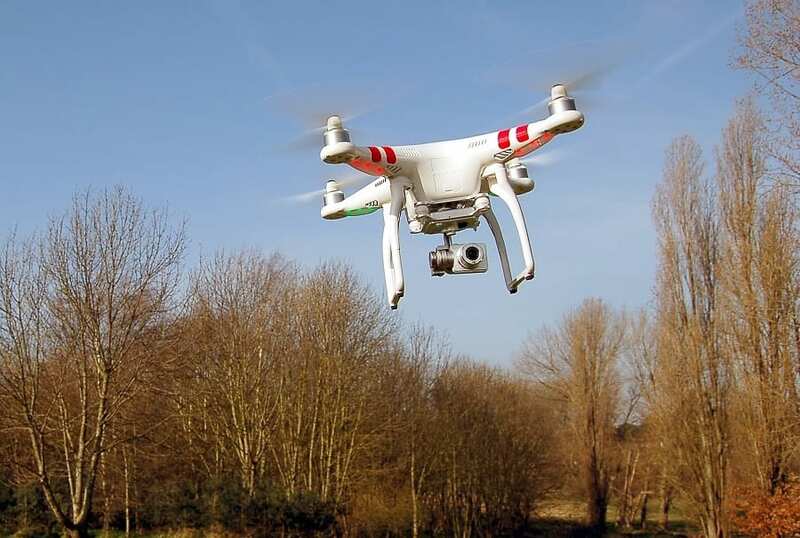 Even though it is within the more expensive price bracket, it is incredibly easy to fly and incredibly safe, with built-in collision detection systems as well as internal balancing systems, making it easy to fly as well as easy and safe to learn on. 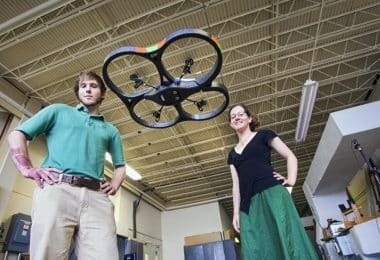 The Ghostdrone 2.0 is one of the more unusual drones, mostly because of its special unique design which makes it look a lot smaller than it actually is. Just like the Phantom 2 Vision Plus, the Ghostdrone 2.0 sports a bulkier design, meant to encase and protect the inside of the drone from the elements. This is where the design takes a unique turn, because the arms of the drone are a lot shorter than normal and when combined with the body design, the drone seems to be a lot smaller than other models. This is actually a great feature, because the reduced size and compact body design make the air flow a lot more efficiently. This allows the propellers to move a lot more air, allowing the drone to fly more efficiently and preserve battery power. This is also why the propellers have a slightly reduced size as well. This is a more special drone when compared to all the drones on the market. The first thing that will strike you as being odd is the design, with the camera mounted more or less at the same level as the propellers, giving it a low profile and a compact frame. This is because the Parrot Bebop was designed in the style of racing drones, meaning that it is fast, nimble and highly maneuverable. Another thing that will catch your attention is the controller, which resembles the skeleton of a controller more than anything else. This is because it was designed with adaptability in mind. The controls are spread around the side handles, with a large open space in the middle which is reserved for phones, tablets and portable LCD monitors. 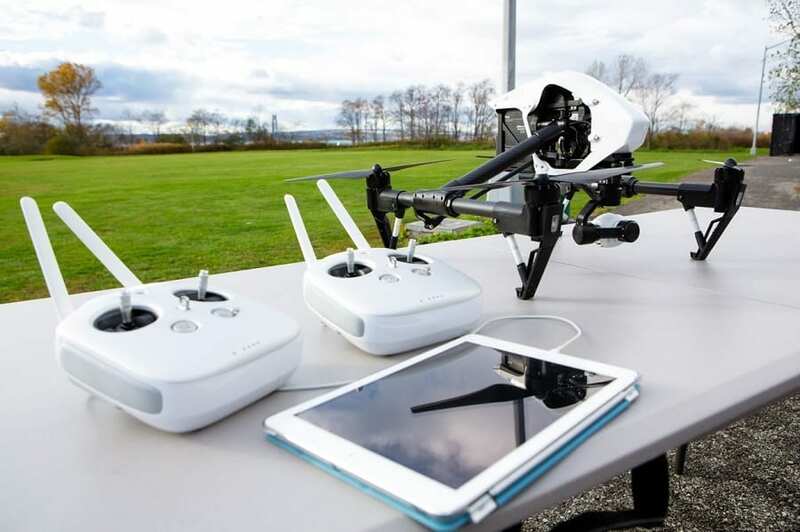 When it comes to flight performance, the Bebop flies and handles just like a racing drone, and with its 1080p HD camera it is able to capture high-speed footage as well as stream it to portable devices that are synced to it. Overall, both the DJI Inspire 1 and the Phantom 2 Vision Plus are capable and competent drones that would make a great addition to any pilot and video enthusiast. Both have their strengths and weaknesses and it is up to the pilots themselves to judge whether or not these drones are a good fit for their particular projects. That being said, let’s look at the pros and cons of each of the 2 drones. In the end, we can definitely say that both drones are relatively close to each other when it comes to performance as well as value for money. Also, both drones serve their own purposes, and it is up to the pilot to figure out which one of the two is better for them and the needs of their projects. All in all, your needs are covered either way.